Although smaller in size compared to other airports in Italy, Catania airport is one the list of the top busiest airports. It is the main gateway for arriving in Sicily due to its good location and connection to the rest of the island. Many tourists who come to visit the renowned holiday destinations like Taormina, Siracusa or Guardini Naxos use this airport. Also, Catania airport is the main arrival point for cruise tourists who depart or arrive at Messina Port. There are several transportation options you can use for your transfer from Catania airport and we prepared a short summary which can help you to make a decision. Catania airport is located only 7 km from the city. It’s a short journey and you can choose public transport, airport taxi or private airport transfer to get to your destination. There are several public buses running from the airport to the city and offer cheap transfer. The AMT Alibus departs every 20 minutes and makes multiple stops on the way to Catania city centre. One of the stops is the train station which is convenient if you continue your journey by train. You can get tickets at the bus station located at the airport. 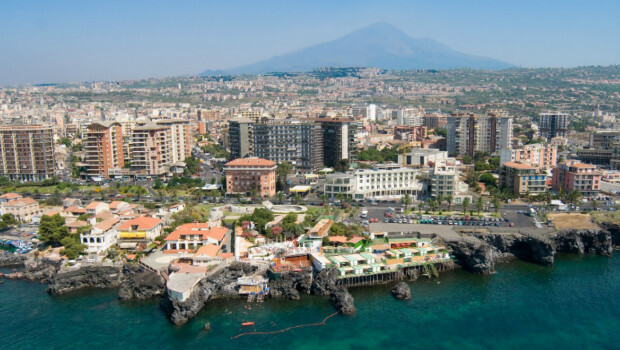 The travel time from Catania airport to the city centre is 20 minutes. Another option is to get an airport taxi for your transfer from Catania airport to the city. You can easily spot them in the dedicated taxi ranks outside the airport. The journey takes only 15 minutes and the driver will take you to the address you provide. The taxi fare will depend on the distance and the amount of luggage you are carrying. Keep in mind that in the peak season the airport can get crowded, therefore you can end up waiting in a queue. For a convenient and stress-free transfer from Catania airport, you can book a private airport transfer. This is a door-to-door service and has many advantages like the fact that is arranged prior your trip and the price for the transfer is a fixed amount. According to the number of passengers and luggage, a suitable vehicle will be arranged: sedan car, minivan, minibus or a bus. Due to its excellent location at the north-east of Sicily, the Messina port is the main gateway to this island. This cruise port is fairly easily accessible and there are various transportation modes available for your transfer from Catania airport. There are several public bus companies which offer low-cost transfer from Catania airport to Messina port. There is a direct bus to the port which departs every 30 minutes from the airport. The journey time is around 90 minutes. There are also several local buses departing from the railway station, but the travel time is longer, around 2 hours, because these buses make multiple stops on the way. A better option would be to take a train to the port, once you arrive at the Catania railway station from the airport. Airport taxis located at the airport offer transfer from Catania airport to Messina Port, as well. However, it is best to ask in advance what would be the total cost, since the distance is approximately 109 km. To make sure you arrive on time in Messina port and have a comfortable journey, you might consider booking a private transfer from Catania airport. You would not have to worry about the price since you can get an instant quote online. 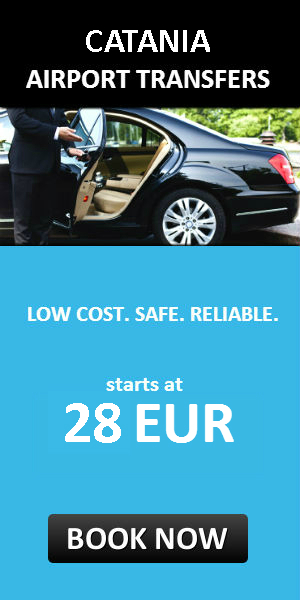 The provider will make sure you’ll be picked up from the airport once you land and get to your destination on time. The flight monitoring service is included and the pickup time is adjusted in case there are any flight delays. Everything is arranged according to your own schedule so you don’t have to worry about not getting on time. If you’re traveling with a larger group of people, this is the most cost-effective option. Not only the price is fixed but is charged per vehicle as well. This means that the cost is split among the passenger and the individual cost is significantly lower.